Khabib Nurmagomedov isn't totally satisfied with the way his fight with Conor McGregor ended at UFC 229. Khabib Nurmagomedov scored the biggest win of his career when he submitted Conor McGregor at UFC 229, but the Russian has spoken out today about his disappointment regarding the end of the fight. Nurmagomedov defeated McGregor in the fourth round of their UFC lightweight title headliner on October 6 in Las Vegas. The Russian submitted McGregor using a neck crank after taking his back on the mat and forcing him to tap out with three minutes and three-seconds on the clock. Speaking at a press conference in Russia earlier today, Nurmagomedov revealed he wasn’t satisfied with the way the fight ended. “When he tapped out I was disappointed,” Nurmagomedov said via a translator. “Let me explain why, because when you have a worthy opponent it’s really nice. It feels good to fight your opponent. “He had so many thousands of people who flew in and came to support him. You shouldn’t tap out. You should fight to the end. 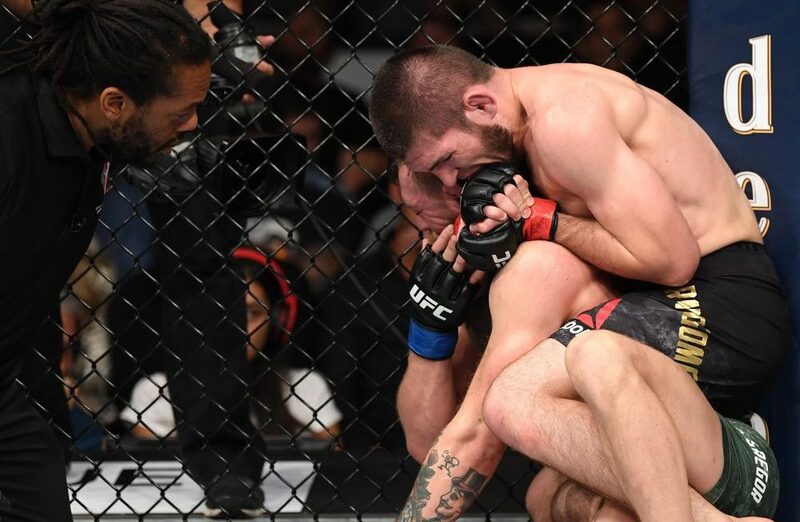 Nurmagomedov then spoke about what happened after the fight and revealed that he and McGregor had not spoken since the night they shared the Octagon in Las Vegas. “Yeah we didn’t talk,” Nurmagomedov said via a translator. “I talked in the normal way, you saw that. He, I don’t know, maybe he forgot his tongue at home because he didn’t talk much. “He didn’t respond. He was unwilling to talk and unwilling to compromise. Read Nurmagmedov’s comments on wanting to fight Mayweather instead of Ferguson HERE.